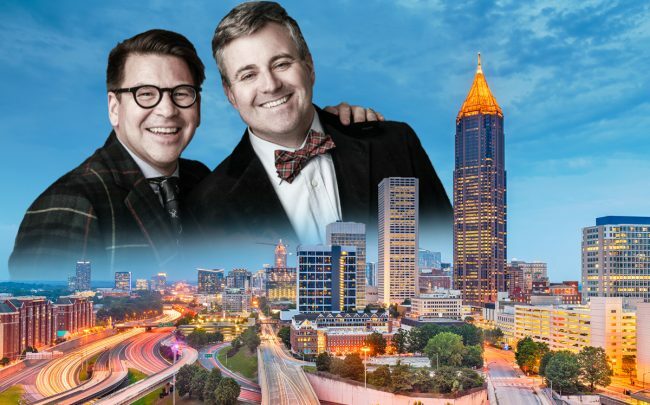 Chicago’s top residential brokerage, @properties, is expanding outside of the local market with a new investment in Georgia brokerage Ansley Atlanta. The move will allow one of the fastest growing independent brokerage firms in the Atlanta area to team up with @properties, one of the country’s biggest brokerages, the companies said in a press release Thursday. Inman first reported the news. The deal has been described as a “partnership” between the two independent brokerages. But @properties co-founder Thad Wong told Inman his firm had invested enough into Ansley Atlanta to effectively be co-owners with Ansley Atlanta founder Bonneau Ansley. With the new partnership, Ansley Atlanta will get access to @properties’ technology suite, known as pl@tform. It will also be able to tap into @properties’ referral program and agent coaching resources, the companies said in a press release. In return, @properties will get a foothold into another major residential market. The partnership also will allow Ansley Atlanta to grow faster in the region, the companies said. Locally, @properties has come to dominate the housing market. The firm came in first in every category of home sales in 2018, according to a ranking of brokerages by sales in Cook County by The Real Deal. @properties is the 11th largest brokerage firm in the country, according to Real Trends, tallying nearly $9.1 billion in sales in 2018. Ansley recorded nearly $651 million in sales in 2018, according to Real Trends. @properties has opened offices in New Buffalo, Michigan, and Lake Geneva, Wisconsin, two areas popular with Chicago-area residents for second homes. The Atlanta venture is the brokerage’s first outside the Midwest. Last year, @properties founders Wong and Golden sold a stake in their firm to private equity firm Quad-C Ventures, a move the company said would allow it to “expand the development and deployment” of new technology. Pl@tform is the company’s end-to-end technology suite that includes applications for market, customer relations management and transaction-management tools, according to @properties.The deal with Ansley Atlanta marks the first time @properties has licensed the technology. Wong has been bullish on the opportunities technology provides to the brokerage industry — even while acknowledging its penchant for disruption. In 2018, Wong and Golden led an investment effort into an artificial intelligence lead-generating platform that @properties will adopt. The licensing of real estate technology also is also growing in the industry. Compass also was working to market its technology products, but the plan was scrapped after backlash from its agents. Founded in 2015, Ansley Atlanta has 130 agents in two offices with a third opening this year. It specializes in the luxury market. @properties has 2,500 agents in 30 offices throughout the greater Chicago area.